with Operations Manager, Cory Juba! Get up close and hands-on with EarthQuaker Devices, ask questions, learn pro tips, and win FREE PEDALS! 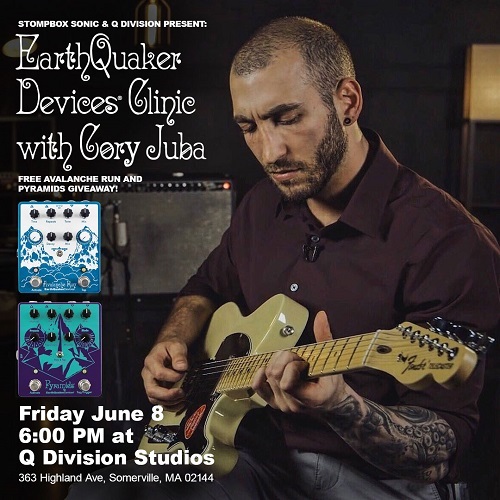 Now is your chance to understand EQD’s philosophies and approach to effect pedal design & manufacturing and their varied applications across multiple input sources, not just guitar! Hear the pedals on bass, synthesizers, drums, vocals, and more! Click here to RSVP or for more details.